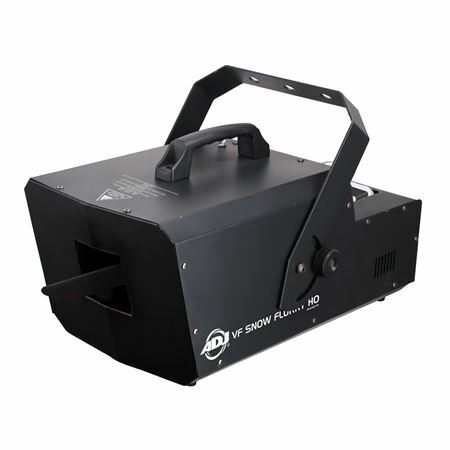 Order your ADJ VF Snow Flurry HO Snow Machine from AMS and enjoy 0% Interest Payment Plans, Free Shipping, Free Extended Warranty & 45 Day Money Back Guarantee. 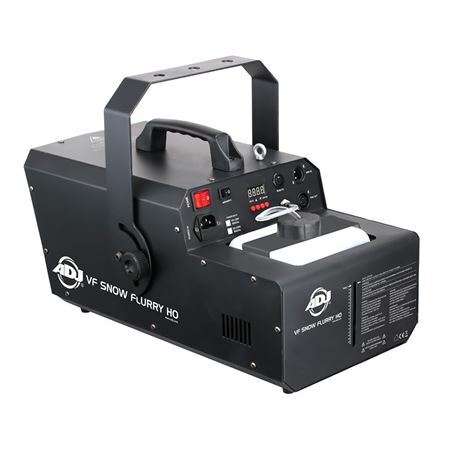 A highly efficient, 1250W Snow Machine, the VF Flurry has a spray distance of 2-5 meters. Features include: Low/High volume selection switch, low snow fluid shut off to protect the pump, snow fluid level indicator, 2.3 Liter internal snow fluid tank, and an On/Off switch on the rear panel. The VF Flurry uses water based snow fluid.